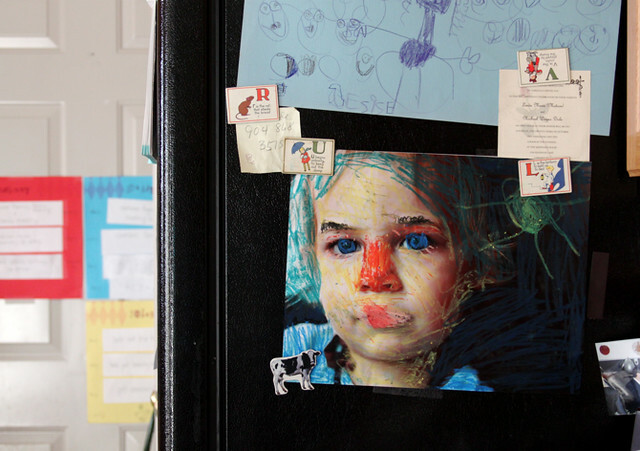 Here's a little mixed-media art experiment for the kiddos on this chilly November Friday. This is just the right project for a blustery day spent indoors. Read more about the art project here at Our Mommyhood. (This was a guest post over there.) 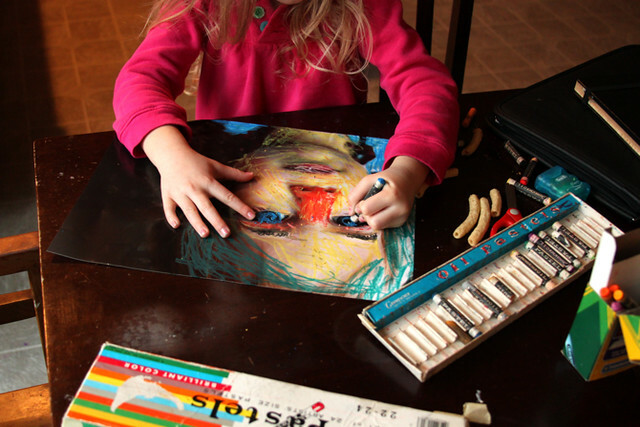 It is quite intriguing to watch little ones take on this art project. The big girls having a list of things they are responsible for before breakfast, the desk being moved back into their bedroom for afternoon "room time", some organizational family sewing taking place, and the likes.